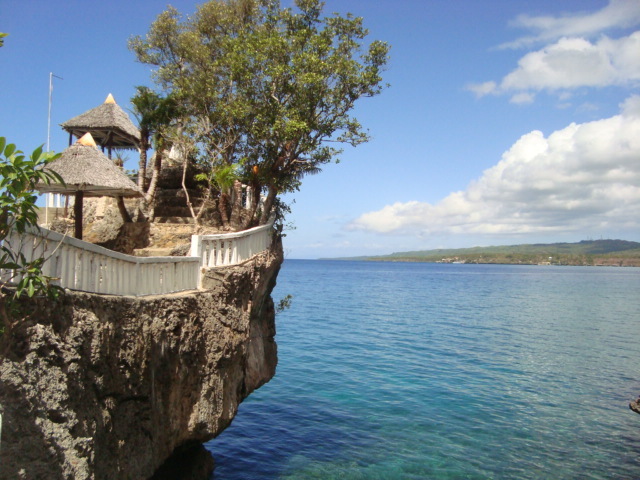 Last May 15-17, 2010 my mom, sister, and I went to Camotes for a Summer trip. She planned everything. All I had to do was split the expenses with her. But I decided to know more about the details in case I have friends who would like to go there as well. And so, I came up with this blog so I can help other people plan a trip there too. 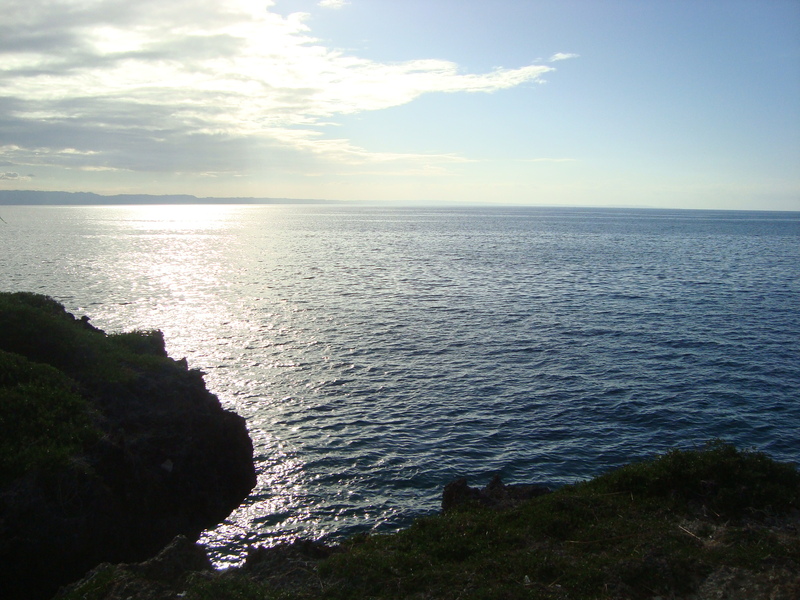 In this post you will find information about the islands and the itinerary of our trip. 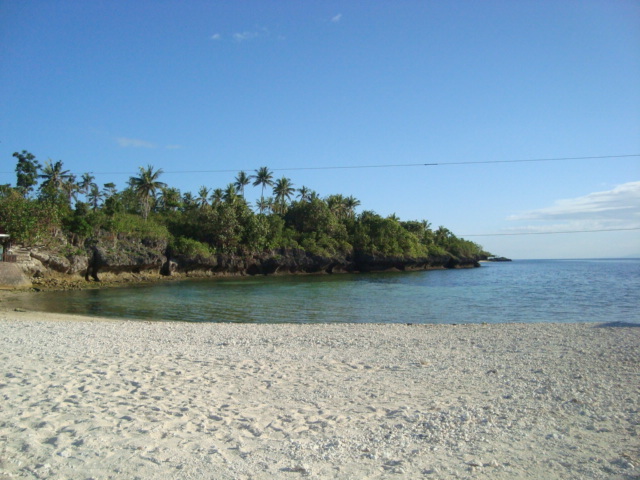 The Camotes islands are situated in the Northeast Visayas. The islands are divided into 4 municipalities: Poro, Tudela, San Francisco, and Pilar. 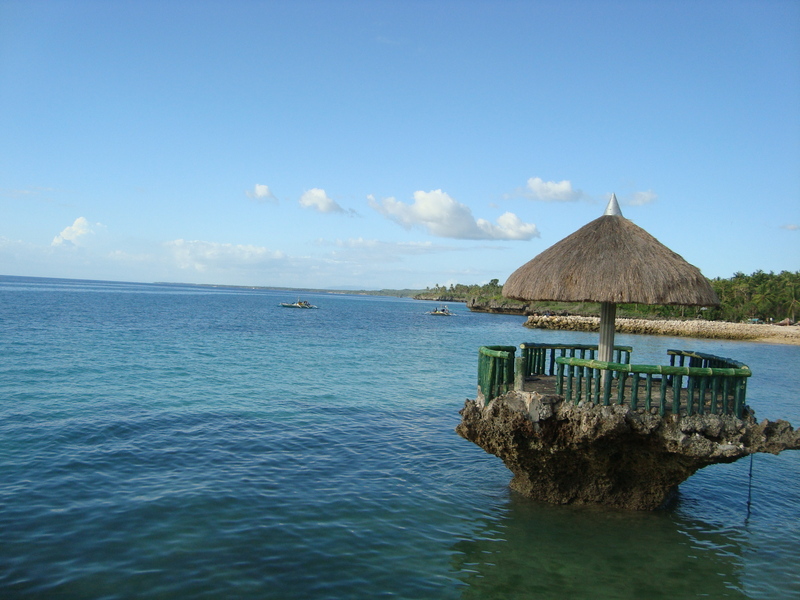 The main language is Cebuano except in Poro where the people pronounce the “y” sound with a “z” sound. For example, instead of saying “Maayong buntag” they say “Maazong buntag.” The people are very friendly and trust-worthy. Unlike most tourist spots where they rip you off as much as they can, they are very honest and reliable. 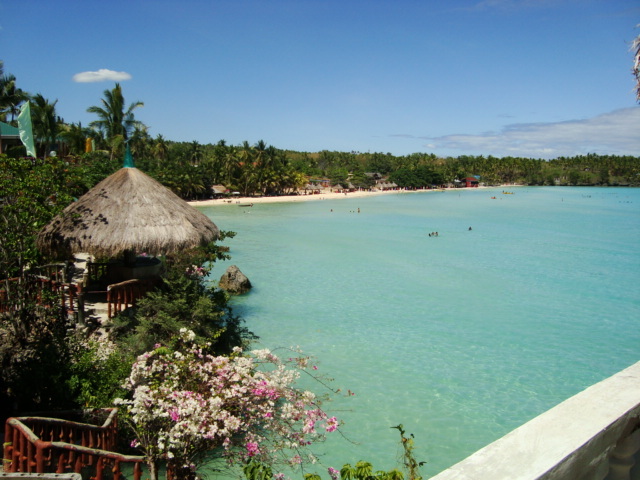 So if you would like a fresh destination for your next vacation that is very affordable then Camotes should be one of the top 3 on your list. This is the picture of their swimming pool. 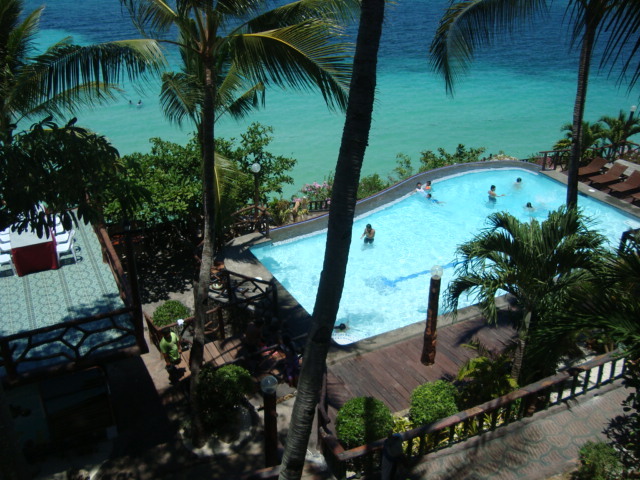 There are no direct flights to Camotes; however, I heard that that will be happening soon. Anyway, you need to go to Cebu via boat or plane. Danao port, Cebu – You can go straight to Danao if you are not from Cebu but if you are, there is a V-hire terminal at SM City that will take you to Danao port for 40 pesos/pax. The drivers usually wait for the van to be filled before leaving. So that could be a problem if there are only two or three of you. 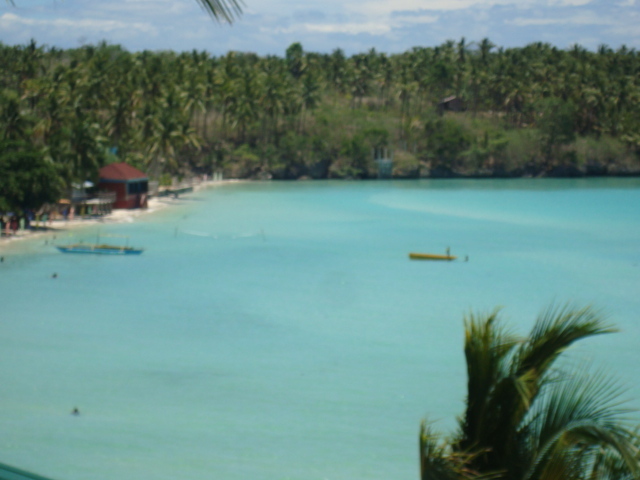 Boat ride to Camotes – This is the list of Shipping companies, schedule of trips, and the fare prices: Link We availed of the Jomalia Shipping line and it took exactly 2 hours to get to Consuelo, San Francisco which is only 15 minutes away from Santiago Bay Garden and Resort where we stayed at. We took a multi-cab ride from Consuelo to Santiago which cost 50 pesos/pax. motorcycles or habal-habals are also available for the same price. The rooms are simple but comfortable. They also have villas available. They have a restaurant, bar, 2 pool tables, and they offer diving courses, banana and jet ski rides. The use of the pool table is 50 pesos/hr which is quite cheap considering they play music and the tables are good. During our last day there, they ran out of water! during the middle of the day there is no beach shore. That’s where Mangodlong Rock Resort comes in. They don’t have internet and cable. To be honest, it was well worth our money. 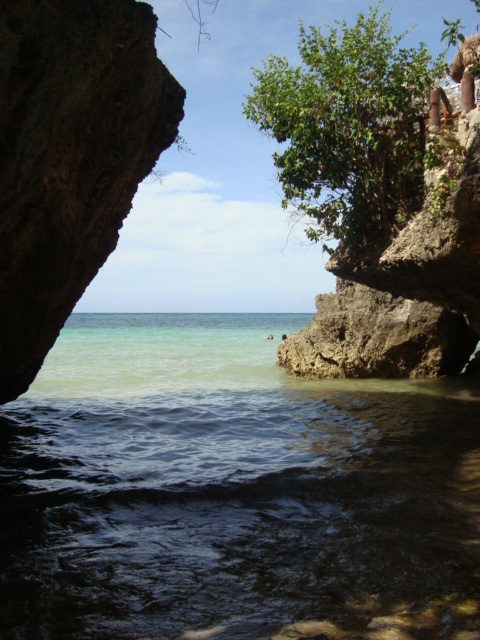 We got to take beautiful pictures, swim in the calm, cold waters of Timubo Cave and sun bathe on the beautiful shores of Mangodlong Rock Resort. If there is one regret I have is that I wasn’t able to try their delicacy which is the fried dry tilapia I heard it’s really good and I wish i knew this before I went there. At least I have the chance to let other people know about it and so they won’t miss this! So, when you go back to Cebu you have to be at the port early so that you can get a ticket. They usually ask you to form a line and discard the list that you need to write your names on for documentation purposes. So I hope this helped. Feel free to comment for any questions and I will get back to you as soon as I can.